This is a really cool version of the Crosman 1400 because it has scope rails ( grooves) on top of the receiver. This makes it easy to mount a scope on this gun. Multi- pump guns are notoriously hard to mount a scope but this variant of the popular Crosman 1400 makes it easy. Sears really had a good idea on this one. Not all Crosman Sears guns had this feature. 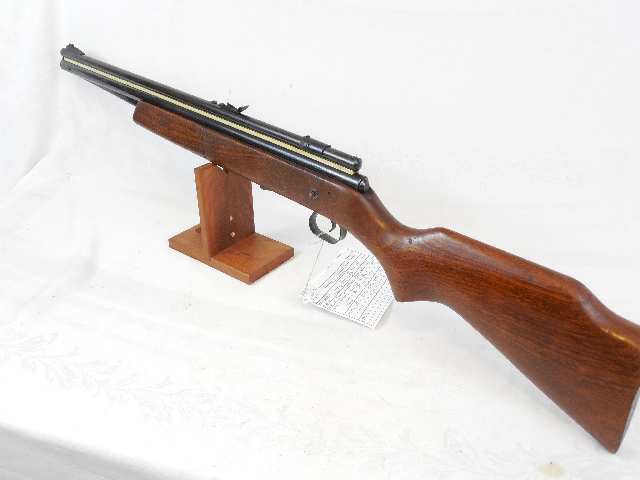 The Crosman 1400 was made from 1968 to 1978. 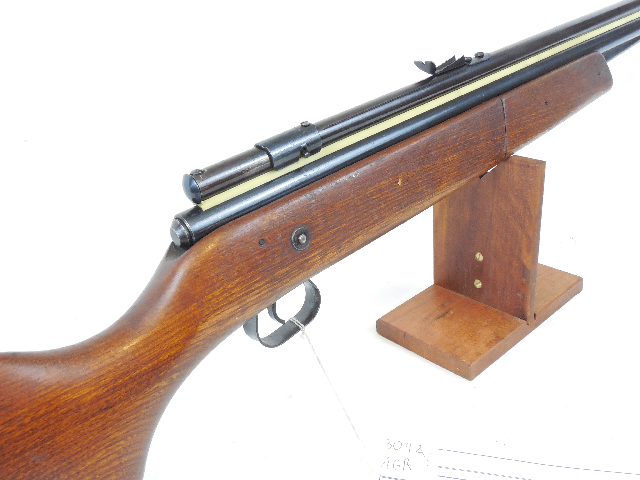 This is the first variant made from 1968 to 1972 with the breech cover and through the stock safety. This gun is in very good condition. The metal has been brushed, polished and re-blued. There is some pitting on the pump tube but overall it’s pretty nice. The word stock has darkened with age but looks to have the original finish. No bad dings, scratches or other damage, just light general wear. 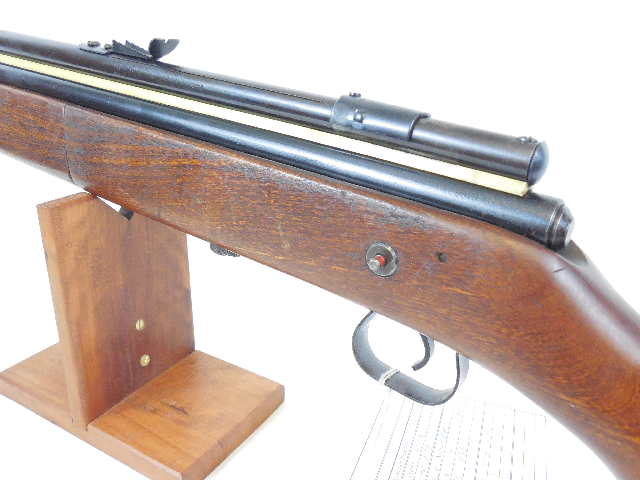 This gun was re-sealed in our whop and the velocity was tested at 633, very good for this model. 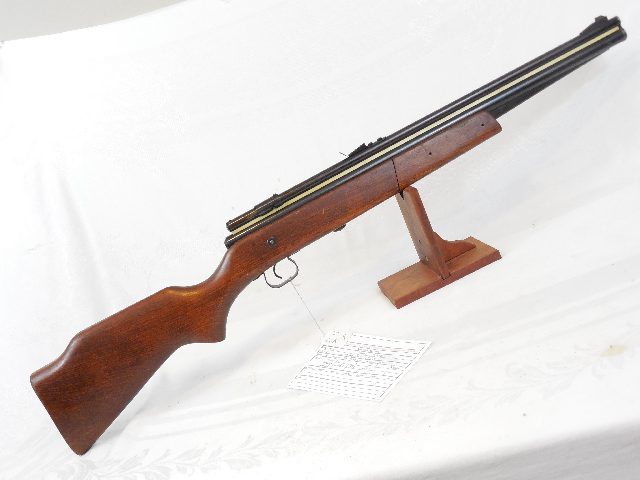 This is a great gun for the Crosman collector or shooter.